Given that Michelle Plum is a former member of 80s pop punk agitators Chumbawamba, it should come as no surprise that her material alongside Nick Hall (see what they did there?) is gaining songwriting plaudits aplenty. 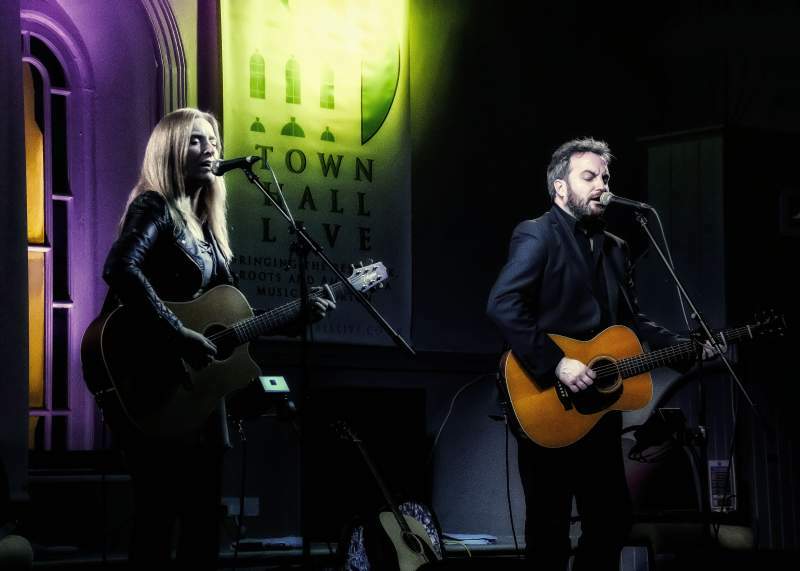 With an envious career behind them – which has seen the pair sharing the stage and recording booth with the likes of Aimee Mann, Shane McGowan, Texas, Nerina Pallot, Fairport Convention, Hugh Cornwall, Kate Rusby and Glenn Tilbrook between them – the duo’s own sound is rooted in Americana, with an undeniable folk-led storytelling style. The likes of the harmony-laden Never Forget My Name brings to mind Fleetwood Mac’s The Chain thanks to its driving chorus, while Thundercloud’s moody acoustic sound could’ve come rolling off the prairies. Let Me Sleep’s subtle sentimentality and alternately sung verses come together in a lush chorus which serves to further prove the duo’s songwriting prowess. Plumhall head up a gig at Middlesbrough’s Toft House on Saturday 2nd March alongside local musician Heather Story, who is causing quite the stir thanks to her gritty lyrics and catchy, bluesy melodies and has led to support slots with the likes of James Bay, Slow Club and The Human League.